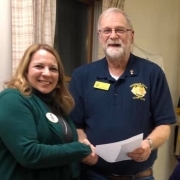 A lovely spring drive last night, to a very enjoyable visit with Path Valley Lions Club. I enjoyed an Amazing home cooked meal and had the honor of inducting Lion Dale! Thanks PDG Grady. 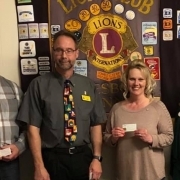 A great visit with the Sand Hill Lions Club and South Hanover Lions Clubs last night. I am super excited to partner with some lions on a membership development project! Thank you for giving me an opportunity to serve with you. 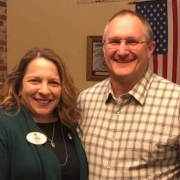 #MovingForwardTogether Facebook friends: if you live in or around Hummelstown, ask me how you can help serve your community. Tonight a heartwarming visit with Penbrook Lions, West Hanover Lions and the Penbrook Leo’s. Keep up the great service! 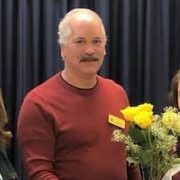 Congratulations to Leo Summer, for making 14 -T proud by earning Pennsylvania Leo of the Year! You are very deserving of this honor! 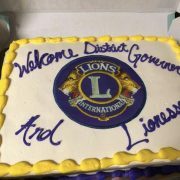 What a great bunch of Lions and Leos! See more photos from the evening. 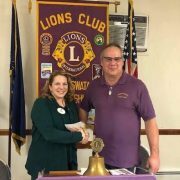 Last night, I visited with the Liverpool Lions. They have been busy! 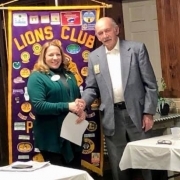 Induction of a new Lion Member! They have a few tickets left for their upcoming bingo. This spring you’ll see a beautiful brick Liverpool entranceway and veterans memorial. 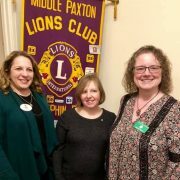 An amazing visit with over 70 people from the Lower Paxton Lions, Hershey Lions, Lower Paxton Lioness with a bonus of guests from Paxtang Lions, and West Hanover Lions. A very fun evening! Keep up the great work! To see more pictures, click or touch here. 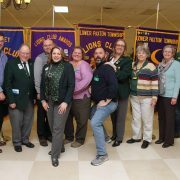 From DG Keldeen: I really enjoyed my evening with the club down the road, as I visited the Lower Swatara Lions Club. 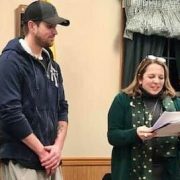 Keep up the great service for your community and that cool clubhouse. For more images from the meeting, click or touch here.